Today's post is another quick announcement about my upcoming events. I'll be doing my first live reading (WOO-HOO!) 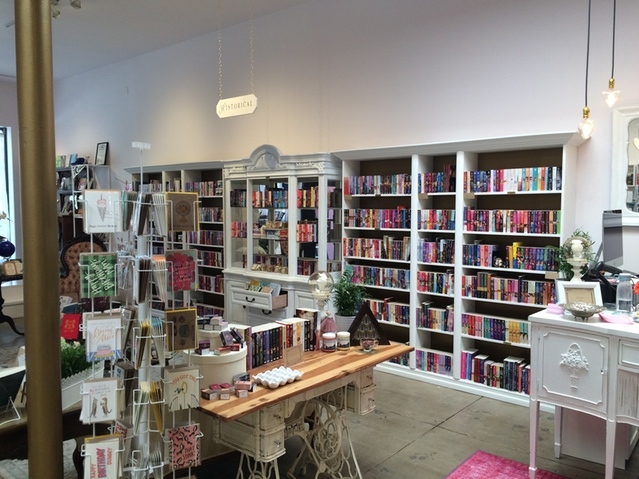 with Lady Jane's Salon OC at The Ripped Bodice, a fabulous all-romance book shop in Culver City. Click here to watch a video about The Ripped Bodice. I'll also be visiting RWA Nationals in San Diego. I won't be signing, but you will find my swag in the Goody Room. I will also be wandering around the conference with a slightly dazed, fangirlish expression on my face. Both events are in July. If you're in town, please come by and say hi!